An artistic expression well known around the world, Arraiolos carpets occupy a prominent place among the native arts in Portugal. Its origin in the village of Arraiolos is a history of centuries. The oldest written reference made ​​to a mat of Arraiolos can be found in the Arraiolos Municipal Archives that date from 1598. 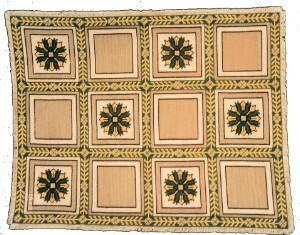 Refers to the Catarina Rodrigues inventory, wife of João Lourenço, a farmer and resident in the homestead of Bolelos, it simply says " hum tapete da tera novo avalliado em dous mill Reis." Ancient Portuguese that can be tarnslated as “A mat evaluated in two thousand Reis (Currency)”. 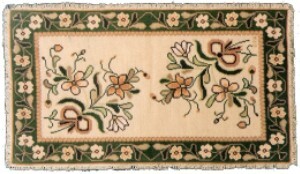 The Arraiolos carpets are rugs embroidered in wool, on a canvas of jute, cotton or linen, characteristic from the Alentejo town of Arraiolos in Portugal. 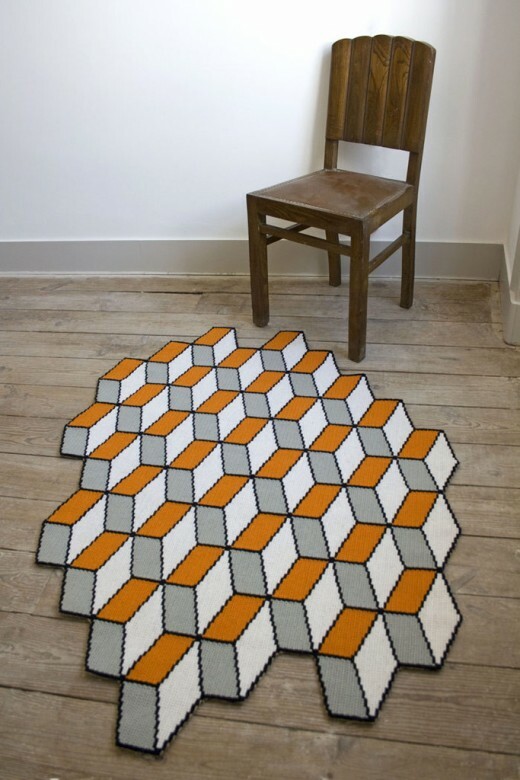 Arraiolos embroidery has the advantage of giving a suitable strength and consistency to the rugs and allows an almost perfect reproduction of all geometric and most artistic designs. 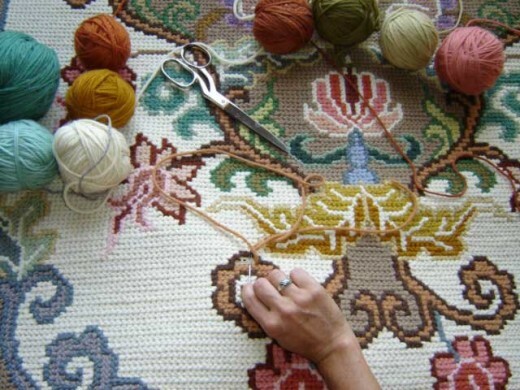 The making of Arraiolos rugs have probably started at the beginning of this period, being the result of the curiosity of isolated artisans, or even conventual work from Alentejo. It is, however, a hypothesis which was not confirmed until the present. They had beautiful colors, well matched and in large numbers. 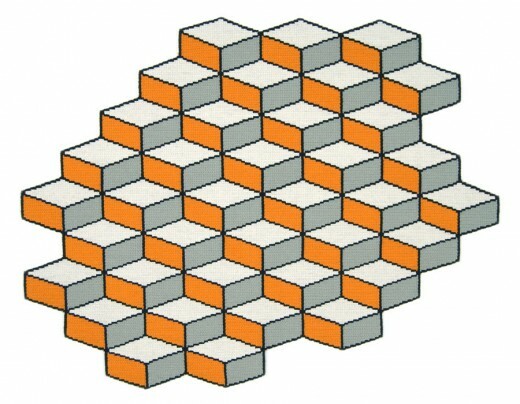 The bar was made ​​without corners, because they were made ​​in a square. The fringe was made ​​with crochet hooks. 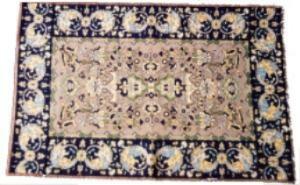 At this time the carpets were made with preconceived and very perfect designs. 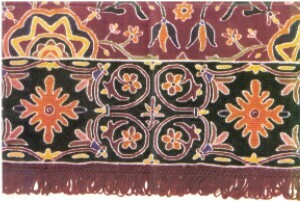 Only in the seventeenth century was this Portuguese hand-embroidered tapestry , Arraiolos Embroidery, officialy recognized, but it is allowed to assume that already practiced much earlier, since the oblique crossover point (now known around the world for point Arraiolos) had also been used in Iberia since the twelfth century. 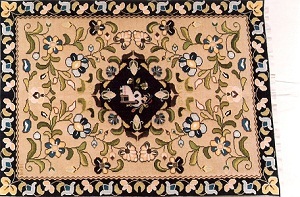 The carpets of this era are based on Asian rugs (Persian, Caucasian, Turkish). 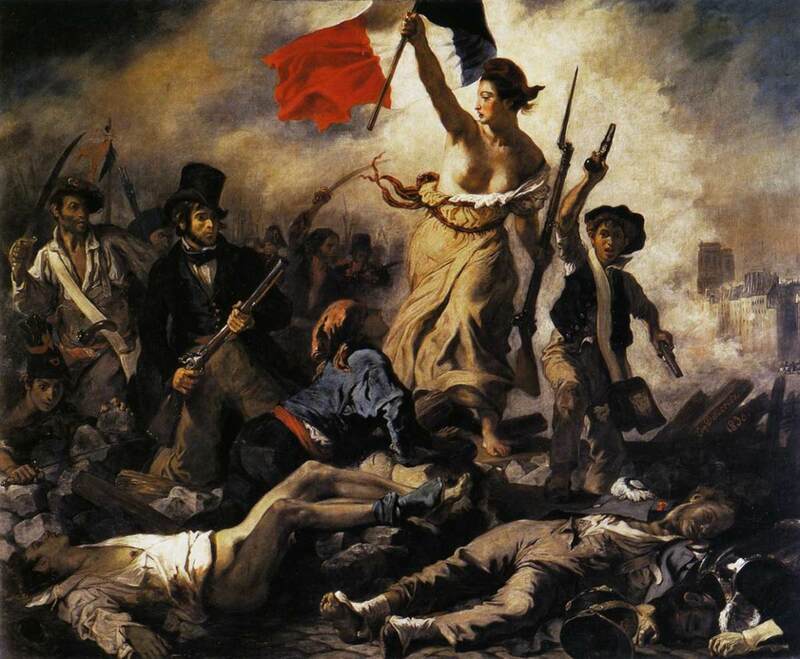 The colors are magnificent, cheerful and very well combined. The Persian-inspired is characterized by animal motifs, arabesques very stylishly stuck, repetitive medallions of Manueline motifs with stylized rosetes and ropes. 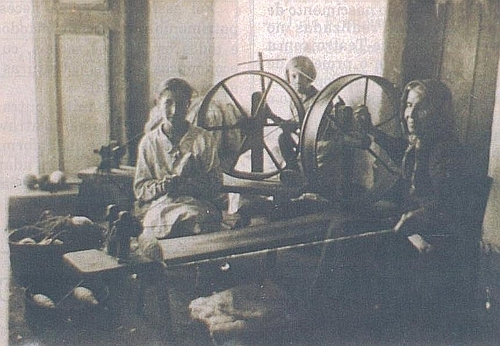 The fringes were then made ​​in small looms. Arraiolos carpets in this period, although they were of erudite character and continued to be made with oriental motif, were no longer made ​​in bright colors but discolored, inexplicably, there are no known reasons for this change. 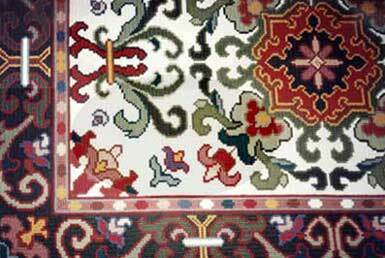 The cottage industry of Arraiolos carpets began to flourish due to the large number of pieces that were produced by the time. The oriental motifs disappeared almost completely giving way to floral motifs, vases with wings and dolls. After the increase seen earlier, this cottage industry began to decay. The oriental motifs and compositions based on the picturesque flora and fauna and regional folk festivals totally disappeared, to make way for simple designs and repeated on very poor backgrounds and faded colors. In this century the Arraiolos carpet industry disappeared almost completely, although it has been made a limited number of rugs by isolated amateur artisans, copies from the previous centuries, in general. 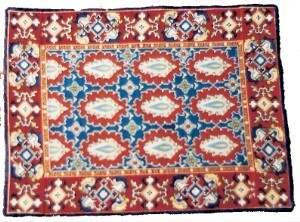 This almost led to the extinction of the Arraiolos embroidery due to the onset of the industrial age, as more carpets appeared, with modern motifs and cheaper. During the first three quarters of this century the manufacture of Arraiolos carpets reborn with a new impetus. 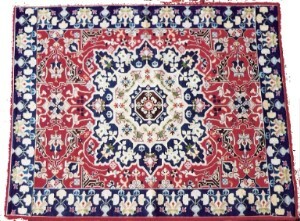 Several artisans, especially the most illustrious housewives spread throughout the country, executing copies of carpets of the seventeenth, eighteenth and nineteenth centuries from examples displayed in museums whose colous were already faded by its antiquity. This is the reason why the following Arraiolos carpets were still made with faded colors. 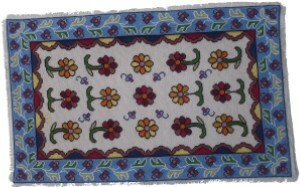 Today it is produced in various parts of Portugal in its original forms, colours and motifs. Though recently new artisans created new concepts for this art, reviving the the bright colours and adopting new shapes and patterns! 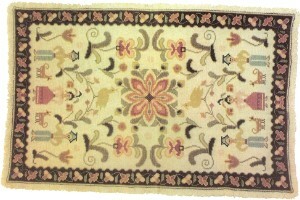 The best portuguese rugs are made by Quintao in Arraiolos. Very beautiful. 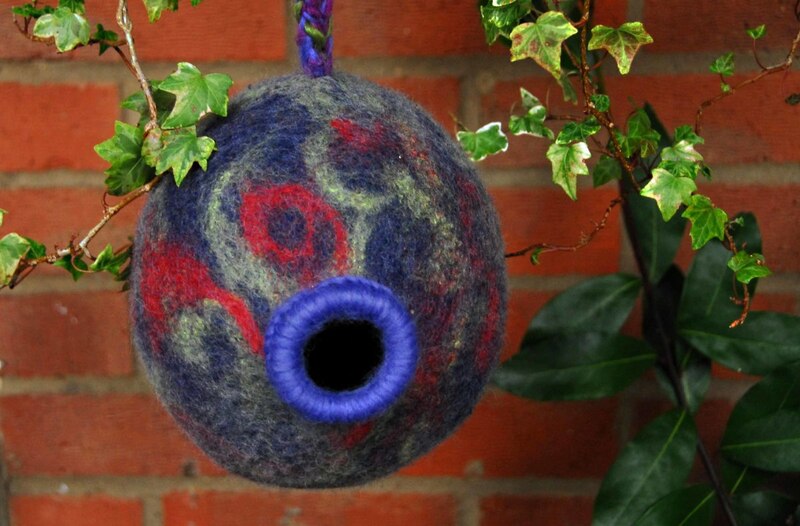 I love needle arts. 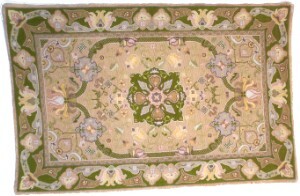 These rugs are truly artistic masterpieces with rich histories.